CAC » What is the CAC? 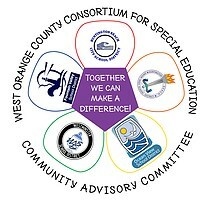 The Community Advisory Committee (CAC) is a group of parents, educators, and community members who are interested in the educational needs of children with special needs. It serves in an advisory capacity to the District and/or Special Education Local Plan Area (SELPA) regarding community opinions, concerns, suggestions, trainings/support pertaining to special education. Meetings are held 4 times per year. They strive to raise community awareness of special education and increase community acceptance in the difference of learning styles and the need for educational and vocational provisions to accommodate these differences. Additionally, the CAC supports the education of all ability levels and learning styles, the interests of children with disabilities, their parents, education and our community. Please visit the CAC website for more information!